Russia's Aerospace Forces have destroyed over 1,000 targets of international terrorists groups in Syria, the official newspaper of the Russian Defense Ministry reported Thursday. In past week Russia's Air Forces aircraft carried out over 360 combat sorties in Syria, the Krasnaya Zvezda (Red Star) news outlet reported. The paper also estimated that over 190 objects were spotted by drones that had carried out over 140 surveillance flights. Syria has been mired in civil war since March 2011, with government forces loyal to Syrian President Bashar Assad fighting numerous opposition factions and extremist groups operating in the country, including Daesh. 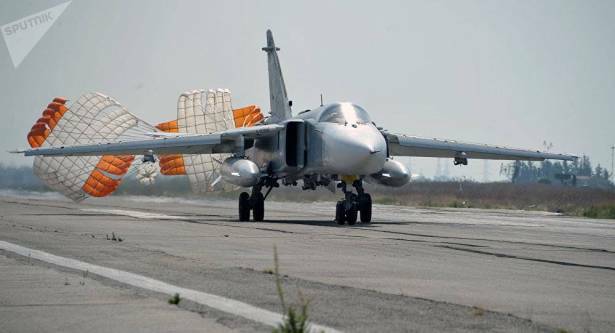 Since September 30, Russia has been conducting an aerial campaign against terrorists in Syria at Assad's request. In March 2016, Putin ordered the pullout of the bulk of the Russian contingent in Syria as the campaign's objectives had broadly been completed. Following Putin’s announcement of the withdrawal, Moscow said that some Russian military personnel would remain at the Hmeymim air base as well as the naval facility at Tartus to observe the implementation of the ceasefire in Syria. Besides, Russia is currently operating the Center for reconciliation of opposing sides in the country.